The international recognition of the Nagorno-Karabakh Republic (NKR) will put an end to the ongoing attempts of Azerbaijan to destroy Artsakh and eliminate its people, and ensure peace and security in the region, the NKR’s Ministry of Foreign Affairs said over the weekend in a statement on the 25th anniversary of an infamous Soviet-era operation that resulted in ethnic cleansings of Armenians in the north of the region. On April 30, 1991, the operation “Ring” began with a massive shelling of Getashen and Martunashen, which became a prelude to the subsequent full-scale military aggression of Azerbaijan against the Nagorno-Karabakh Republic. During the operation, the Armenian villages were at first surrounded by the interior forces of the USSR Ministry of Internal Affairs and the Soviet Army. And afterwards, the Azerbaijani OMON and militia entered those villages under the pretext of “passport checks”, but in fact for murder, robbery, terror against the Armenian population, followed by deportation. “The operation “Ring” became the continuation of a series of Armenian pogroms and ethnic cleansing in Sumgait, Baku, Kirovabad and other settlements of Azerbaijan, as well as in the villages of Northern Artsakh in 1988-1991, which were intended to strangle at its birth the national liberation struggle of the Armenians of Artsakh and deprive them of their homeland. 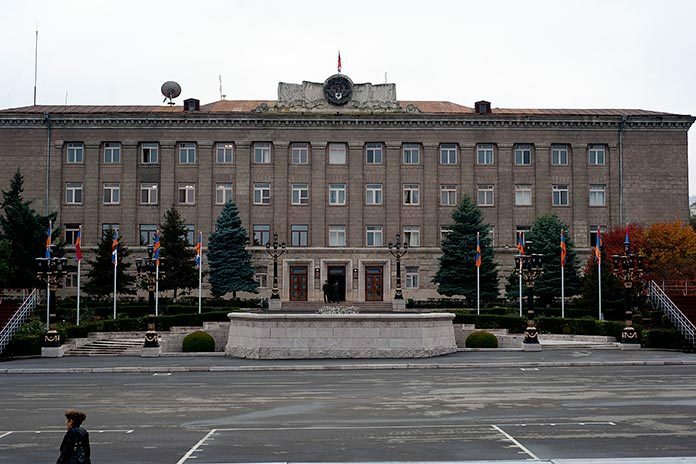 The Azerbaijani authorities did not conceal that they considered the operation “Ring” as the beginning of a large-scale deportation of all Armenians from Nagorno-Karabakh,” the NKR MFA said. “As a result of the operation, during which tanks, combat helicopters and artillery were used, more than two dozen villages of Northern Artsakh and Shahumyan, Hadrut and Shushi regions were completely devastated and destroyed. Almost 10 thousand people were deported, more than 100 killed and several hundred taken hostage. The fate of many of them still remains unknown.